This delightful gin gift is perfect for the ladies that love nothing more than to relax with a G&T! 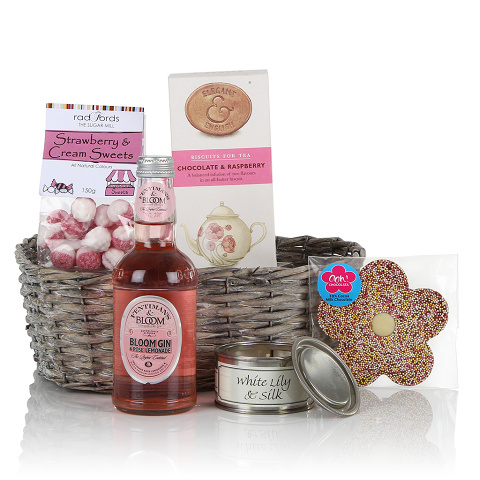 The delicious Bloom gin and Fentimans rose lemonade is accompanied with a chocolate flower, Strawberry sweets and raspberry biscuits this really is a gift that will be fantastically received. Presented in a heart shaped willow basket.